Hey. What’s going on, guys? Alex here. I want to talk about asking the right questions. 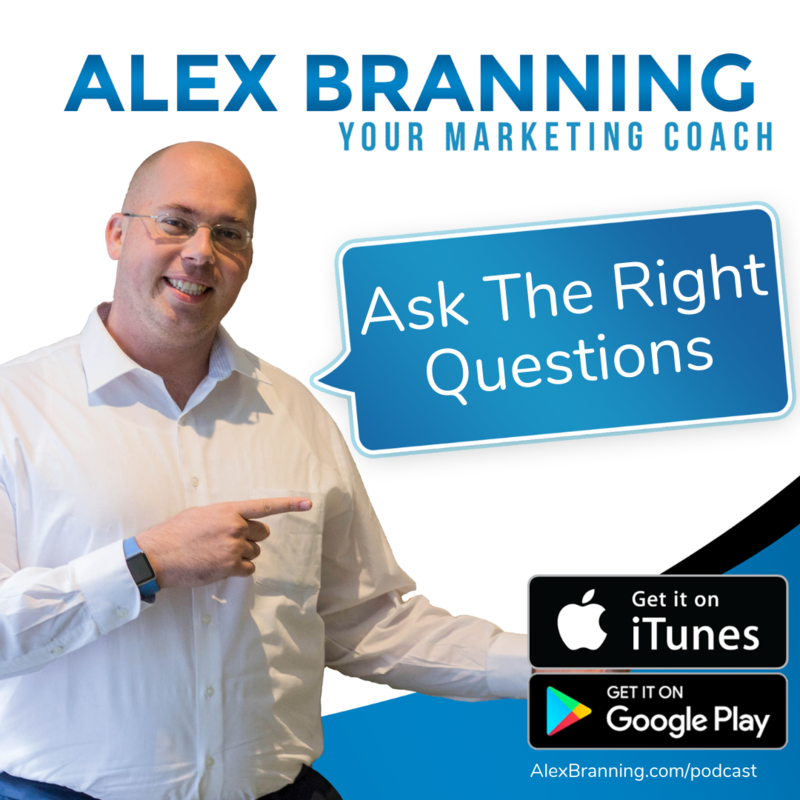 I believe that when you ask the right questions of yourself, of your team, of the marketer that you’re working with, and of your prospects, you’re going to see a huge turnaround in your business. 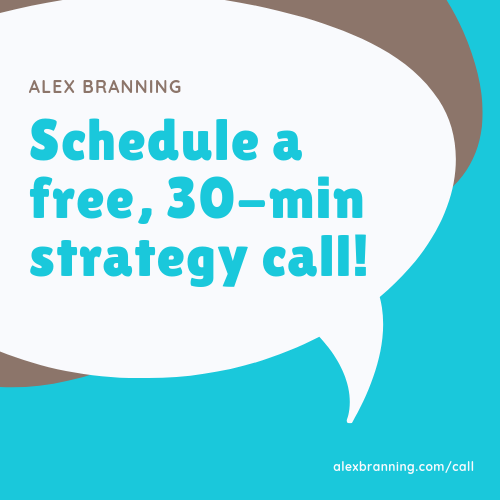 Over the next few minutes here, I’m going to walk you through how to ask the right questions of your team to get the most out of them, of yourself so you can identify the spaces of lack within yourself, the marketer you’re hiring, and your prospects. So let’s first start with the questions to ask yourself. This is a big one because I think a lot of times as an entrepreneur, we get so busy in the day to day that we don’t really think about kind of giving ourselves an evaluation on where we’re at. We look at the things around us, we look at the circumstances, we look at the wins that we have, and we can get kind of stuck on that. But what about taking some time to just write some questions down on a piece of paper and answering them for yourself? Let me give you some ideas on questions to ask yourself to give you a good grade. Here’s questions I ask myself. Question number one, what am I lacking? In other words, what am I missing out on? Recently, when I asked that question, did some soul searching, and I’m really lacking right now in quality time with my guy friends. And so I have mentors I talk to, I have coaching students. There’s people that I communicate with but I’m lacking in quality time with the guy friends that I have out here locally. And so that was a good eye-opener. So I’m able to now, now that I recognize that, make adjustments. I also am lacking in my own motivation to get to the gym on a regular basis. So that’s what I discovered. Another question, how can I do better? That’s an open-ended question that honestly I want you to just take some time, write that down, and think about how can I do better and just let that question take its course, right? Don’t ask how I can do better in business, how I can do better in marketing, just say how can I do better and let your own imagination tell you, give you that direction of where you should go. Last question to ask yourself, what do I need? What do I need? For me, when I ask myself that question at the beginning of the year, I said, “What do I need?” I needed a bigger team. I needed more people that knew they were getting paid and that knew they had a job to do. I needed more people on my team so we could accomplish more, reach bigger heights. That’s what I needed. So the questions that I ask myself, and I encourage you guys to ask you. Where am I lacking? How can I do better? What do I need? Let’s go over to the team. I believe, first and foremost, I believe you must have a team if you want to build an empire. You cannot build an empire by yourself. There’s just too many things to do. So with your team, here’s what I want you to ask them. Number one, where do you need help? Where do you need help? That can be education, resources, maybe they need some more software, some more tools, maybe they need education. Where do you need help? What can I give you so that you can be the best that you can in this job? Number two, what can I do better? Ask your teammate that question about you. What can I, as your boss, as the owner of this company, what can I do better? Is it communicate? Is it lay out what I expect? Is it plan our weeks? Is it connecting you with the right people? What can I do better? And then last, what do you prefer doing? This helps a lot. Some of my team members went to entirely different departments within the branding group when I asked them, “What do you prefer to do? What is your favorite part of your job?” And be ready to be surprised. You just never know. And then you can figure out as you grow, because sometimes your team member doesn’t have to do … just because they say this is what I prefer to do, doesn’t mean you have to immediately shift them over. It just means that now you know, and now you can equip yourself and take the necessary steps to build a team and now you’re aware of where they’re at. So ask your team those three questions. Where do you need help? What can I do better? What do you prefer doing? For your prospect, when the people that you’re talking to, it’s so important to make sure that you’re on the same page. So here’s two questions to add to your onboarding sequence right before you close a sale. Question number two, what do you expect? What do you expect to happen here? What do you expect the process to be? How often do you expect to hear from me? Right? What do you expect? Those two questions can save you a lot of grief and keep clients by you because now you know number one, what their ideal scenario is when it’s all said and done. Number two, what they expect from you. Now for those of you that are hiring a marketer, number one, I would love to talk to you about that. But number two, let’s say you’re working with somebody right now. You’re going to bring someone on the team. You’re going to hire an outside firm, and you’re like, “I want to make sure that I’m not getting screwed.” Well, here’s some questions to ask your marketer. Number one, what is my expected turn? What is my expected return on the investment that I’m about to make on you? What do you think I’ll get back? Now, some marketers are probably going to hem and haw at that, but try to get a good, clear answer, write it down, and then you can refer back to it later. Question number two, when will I see results? A lot of times I know from experience my client expects results a little bit quicker than what is realistic. For example, if I launch an ad campaign on a Monday, you’re not going to see results by next Monday. 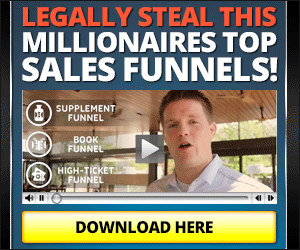 You might get leads, but you may not get sales by then. It’s just the sales process takes a little while, right? So when can you expect results? Ask them that question. Last but not least, how often will I hear from you? This is big. One of the biggest issues between marketing firms and their prospects or between business owners and their marketing firms is that they don’t hear from each other very often or that the client was not clear in how often they expected to hear from them. Asking your marketer those three questions going to save you a lot of grief. So I highly recommending writing down other questions that you have and while they’re answering them, write down their answers. That way you have it and you can send it in a recap email. Keep them accountable. There’s nothing wrong with accountability. If they said, “You can expect to see results in a month,” remind them that they said, “You can expect to see results in a month.” That’s not bad, right? You’re just reminding them of their own promises. I have a book for you that I highly recommend. 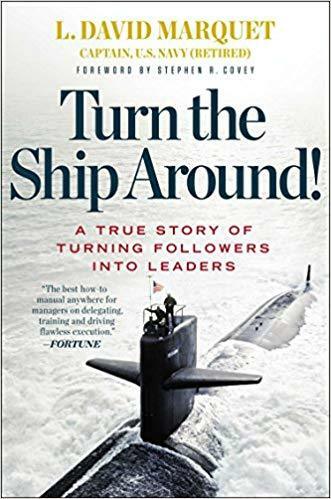 It’s called Turn the Ship Around! by David Marquet. Really good. I’m a little more than halfway into it. Eye-opening. Here’s one of the things I like about the end of his chapters, and I just started reading this book yesterday. But I’ve been playing his podcast now for a couple weeks. At the end of each chapter, he puts down questions to consider for you to ask yourself. These are really good questions. So far the story is captivating and really good. So I advise you, write down some questions for yourself. Ask yourself the questions that I brought up in here. You can get them all on my podcast episode, and I’d love to hear your results. I’d love to hear what you got from this. So I want to give a huge shout out, our podcast family is growing. I love it. And I really appreciate you guys sharing all these episodes with your friends, mentioning me to other podcast networks. I love it. I love the responses, and I’m here for you guys. I’m on your team. I’m in your corner. Ask yourself the right questions, and you’ll be surprised at the answers. I’ll see you guys later.